From film and television to social networking and microblogging, podcasts to viral video, graphic novels to virtual worlds, we use the tools of the new millennium to market, promote, and produce the mythologies of a new generation. I Gotta Do What?!! provides a comprehensive set of tools for filmmakers to navigate the creation, financing, producing, and distribution of their films… Answers to getting your films made, seen, and sold worldwide. White Hogan Pictures prides itself in bringing quality, marketable films for worldwide distribution. 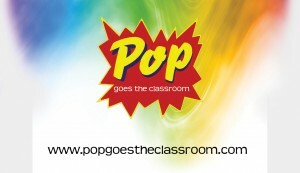 Pop Goes the Classroom is an innovative professional development opportunity that introduces educators to pop culture as a tool to engage students. News and releases on Film, Television, and New Media production in Arizona. The only way for people to know about it is to tell them. At the intersection, Infinite Spectrum Productions is on the edge of pop culture where the lines of traditional and new media blur. Infinite Spectrum Productions is a Convergence Media Company, embracing existing and new media resources, to create high quality products for a commercially driven world.